NO SET UP CHARGE!!! Questions? Please send an email to Kathy or call toll-free (877) 865-9657 or (920) 232-4999. Kathy is a professional fitness apparel consultant who is eager to help workout your outfit, dance team uniform, ballet costume, or any dance wear / activewear dilemmas. Action Dancewear also helps many clients with special needs, ie tighter lycra fitting clothes, Snap Crotch Dancewear. Action Dancewear is the instructor's choice for quality fitness dance clothes and Team Wear dance team uniforms, as well as for all other dance wear needs. For 25 years we have been dressing dancers in dance shoes and dance clothing for recital, performance, workout, and exercise. We offer gymnastic leotards , skating apparel and skating wear, with Mens Dancewear , boys dance wear and dance apparel, including plus sizes, and custom orders and custom designs . 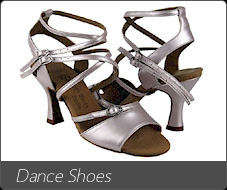 Our dance shoes include tap shoes, jazz shoes, ballet shoes, ballroom dance shoes and more. Cover your legs with leg warmers and tights - men enjoy our mens and boys dance wear, mens footed dance tights and mens leotards . Also find dance dresses, praise dance attire and apparel for jazz, skating and ballet. DRESS ENERGIZED Unitards , supplex leotards or leotards in cotton lycra, Microfiber and nylon lycra - snap crotch available. Aerobic clothes, unitards, warm-ups, swing and skating wear dresses by Baltogs, Bodywrappers, Eurotard, Verifine Dance Shoes and other top quality manufacturers. Women, children and mens dance wear and skating apparel sizes include petite, XL and plus size dance wear up to 4X. You'll LOVE our dancewear clothing Website. You'll find shopping to be safe, private and affordable for all sizes and gender. Performing artists LOVE our site! Find dance clothes, workout apparel and dance shoes, --from Tap Shoes to Ballet Shoes, -- Jazz Shoes to skating apparel. 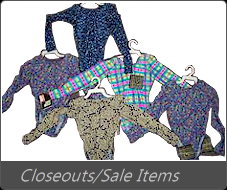 Dress and swing in legwarmers, Tights , gymnastic leotards, dance wear outfits, and skirts from your discount dancewear partner.